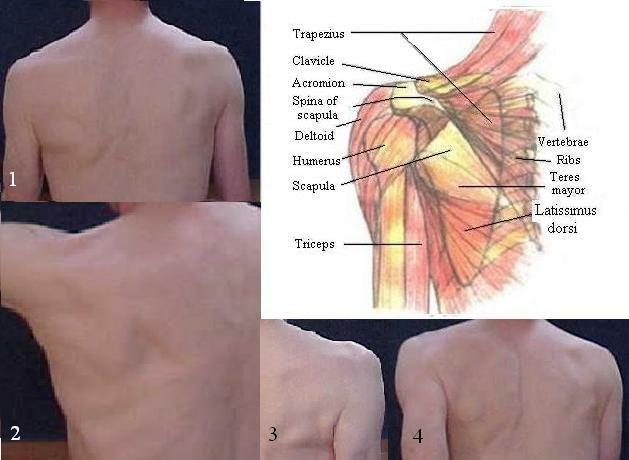 Spina of scapula, teres mayor and latissimus dorsi can be identified in all images. The muscular display depends much on the position of the arm and the muscles activated. Of some interest in this respect is a triangle formed by trapezius, medial border of scapula and latissimus dorsi in fig. 2.